We all have a favorite color that we love wearing. And according to experts, we’re drawn to certain tones because of how they make us feel. Though we may not always consciously think about it before getting dressed, color definitely has the ability to influence our mood and behavior. What does your favorite color mean? To find out, we consulted the color authority Pantone.com to explore what the shades you love wearing may say about your style personality. 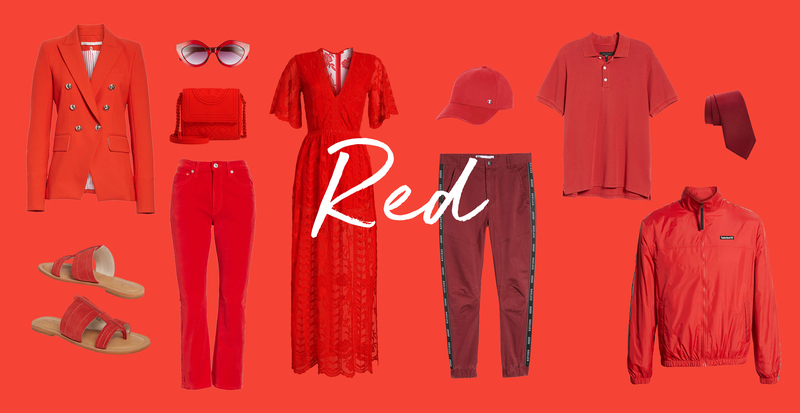 What it says about you: If you tend to gravitate towards red, you might be strong-willed, live life to the fullest, and can be a bit of a risk-taker at times. When to wear red with: It's the perfect color to wear if you need a confidence boost or want to make a statement. It’s sure to help you make a lasting impression. What it says about you: If you mainly gravitate towards this bright hue, chances are you’re warm, friendly, energetic, and love having a good time. 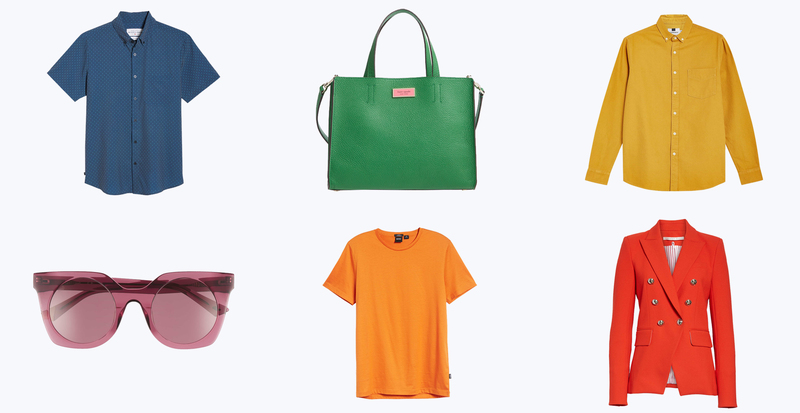 What to wear orange with: Play up the brightness with vivid shades of blues, pinks, and greens. To tone it down, neutrals such as tan or khaki are great for creating a contrast. 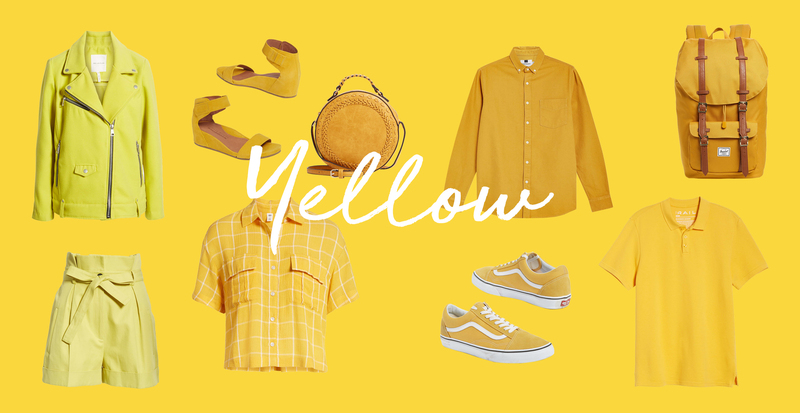 What it says about you: If yellow is your go-to color, chances are you have the same effect that sunshine has on people. Yellow has a fun, optimistic, and vivacious energy that is both exciting and fresh. What to wear yellow with: This bright color is surprisingly very wearable. Pair it with metallic silver or gold, turquoise, white—or even a neutral-colored animal print. What it says about you: If green is a color you often reach for, it’s possible you’re a social butterfly who places an importance on bringing people together. 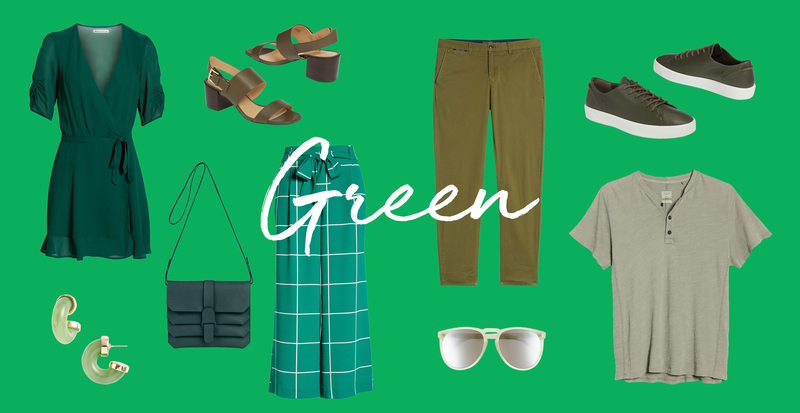 When to wear green: The color green has a calming energy to it and is very easy on the eyes. It’s ideal if you’re looking to create a balance between your mind, body, and emotions. Wear a tranquil shade of green in stressful situations to be a relaxing and reassuring presence. What it says about you: Blue communicates that you are confident and successful, perhaps as a result of your cool and calm nature. People who love wearing blue also tend to be very easy to get along with because they’re so dependable. 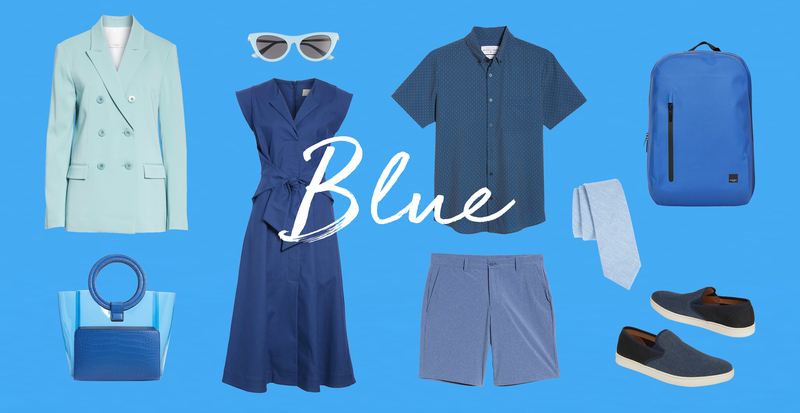 When to wear blue: If you’re looking for ways to activate intellectual activity, try wearing blue. 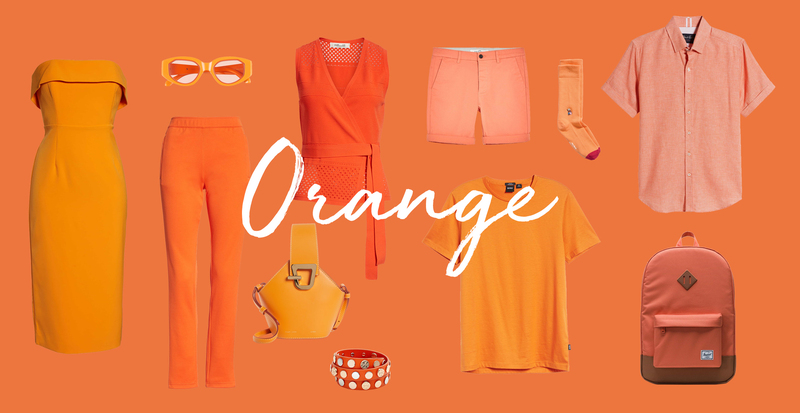 This color will help you take an authoritative approach to your day. What it says about you: If you wear a lot of purple, chances are you’re drawn to the arts and like to stand out because you appreciate uniqueness. People who are especially drawn to purple also tend to have very charming personalities. 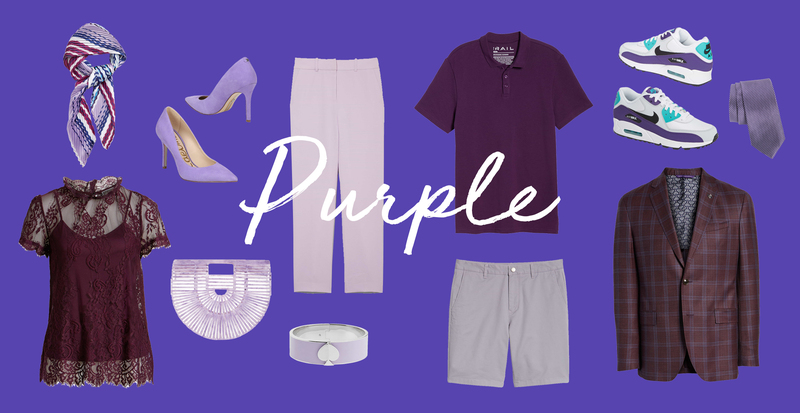 When to wear purple: Color-block your purple pieces with luminous shades of coral or teal or softer shades of coastal blue and mint. Whether this article confirmed things you already knew to be true about yourself or taught you something new about certain colors, we hope you continue to wear your power colors with pride.